Okay, so I love this cake... like L-O-V-E love it! I was jumping up and down around the kitchen when I finished it, I was so happy with it. My sister's wedding reception was held at a nature center. And she and her hubby love to do all kinds of nature-y things. 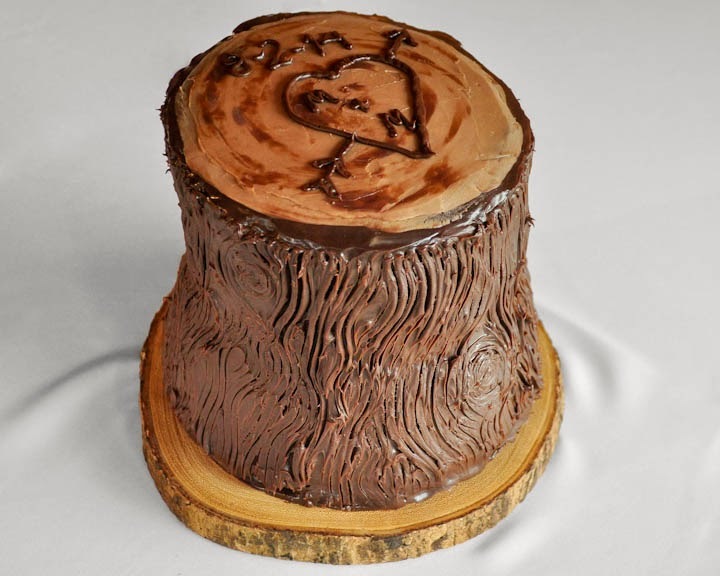 So, when I was trying to think of a way to bring in the groom's favorite kind of cake (chocolate with raspberry filling), I thought of this, realizing that you could "carve" the ganache to look like bark, and it would not be all that hard to make. I made the base strong by adding four food-safe dowel rods to the bottom two layers, and placed the 8" layer on a cardboard cake circle. 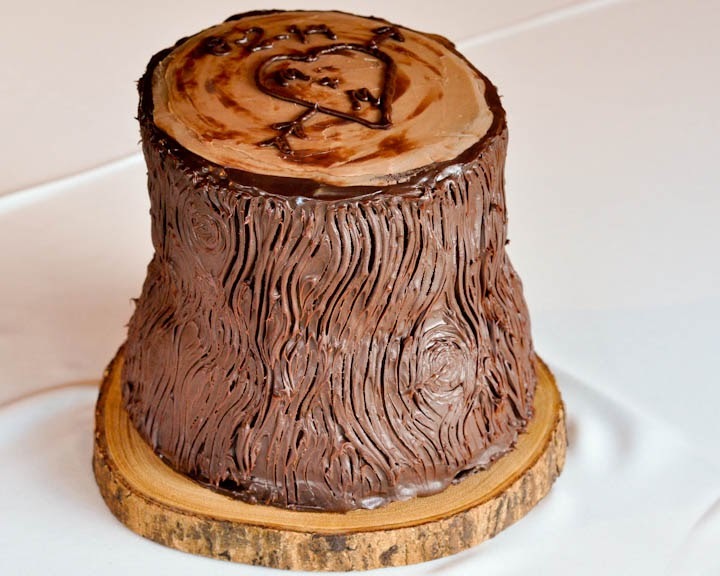 I then used a bread knife to carve the bottom and top layers to give it something of an hourglass shape - it looked more like a stump to me that way than straight on the sides. 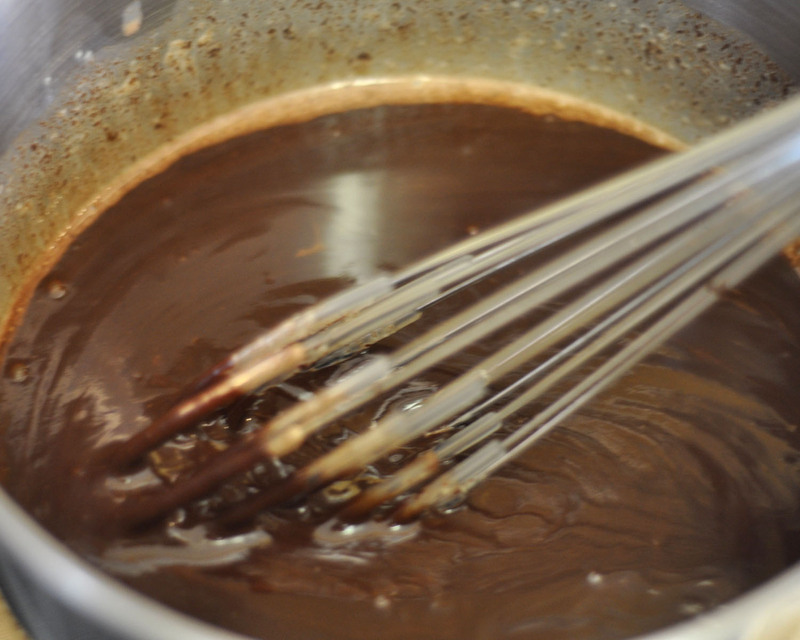 For the ganache, heat the heavy cream on the stove until small bubbles form around the edges. Pour hot cream over chopped chocolate (or chocolate chips as I used in this case). 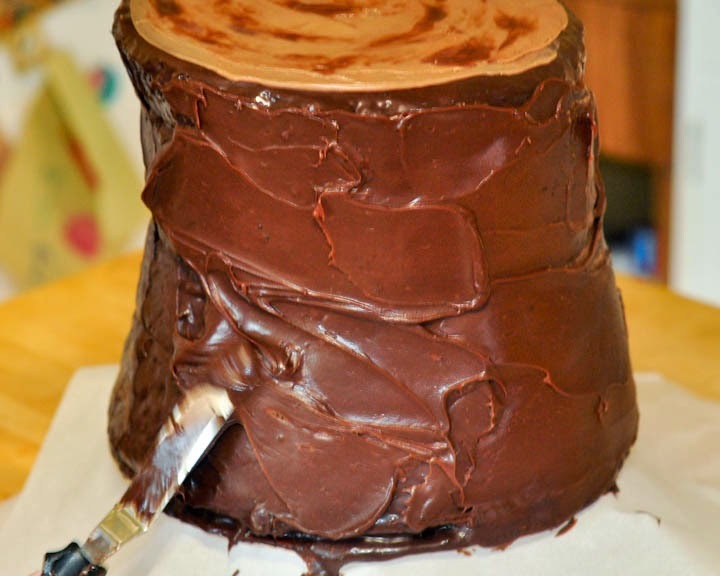 The ganache needs to set aside for about an hour or so in the refrigerator to get thick enough to spread on the cake. *Note: This is a thicker ganache than I usually use on a cake. This has more chocolate to cream ratio so that it stiffens up more than a traditional ganache. I spread two layers of ganache on the cake. 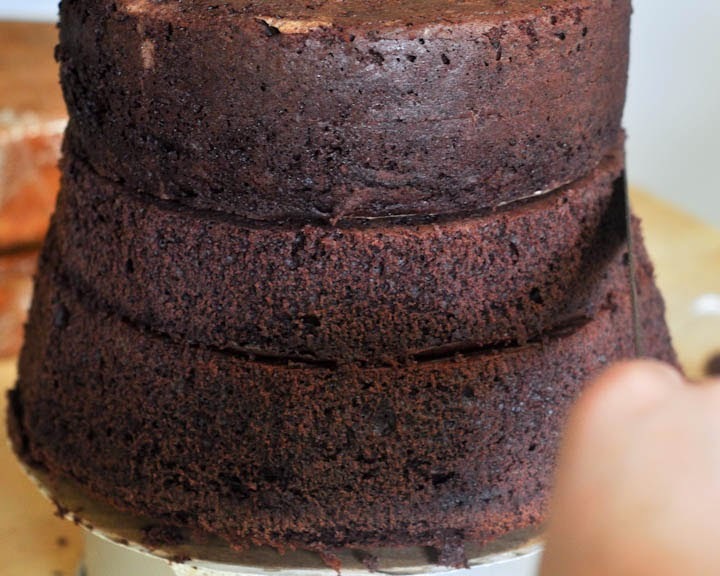 Spread one layer, then place the cake in the refrigerator for at least 30 minutes, then spread another layer. You want this to look messy, chunky, not smooth. It's a tree, for heaven's sake!! 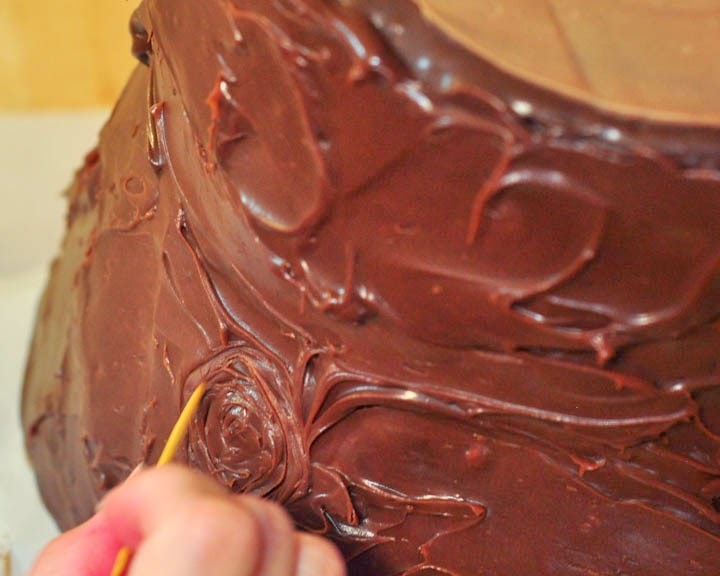 Spread the milk chocolate layer on the top the first time, but not the second time. For a second layer on the top, use the lighter-colored white chocolate ganache mixture. Leave about 1/4" ring of the dark chocolate around the top. 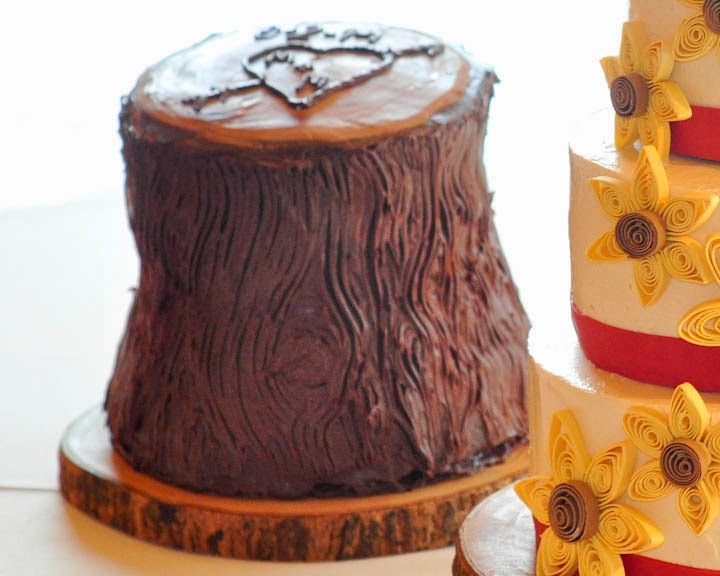 I added a little "carving" of the bride & goom's initals using some of the milk chocolate. 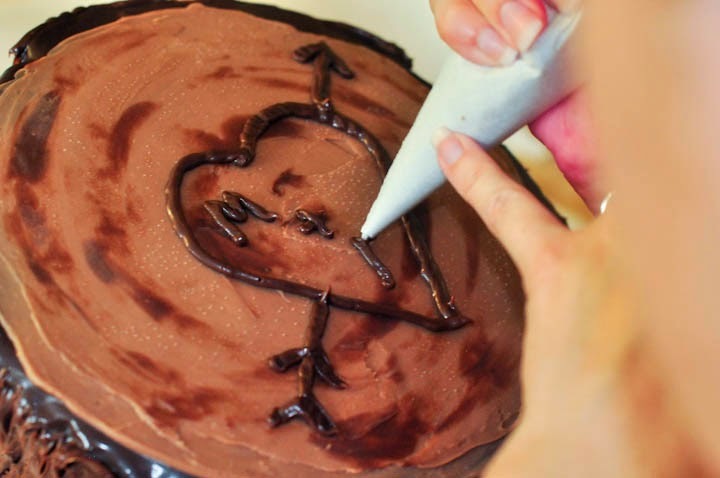 To create the texture on the cake, add some "knot holes" by using a toothpick to make oval-shaped spirals. 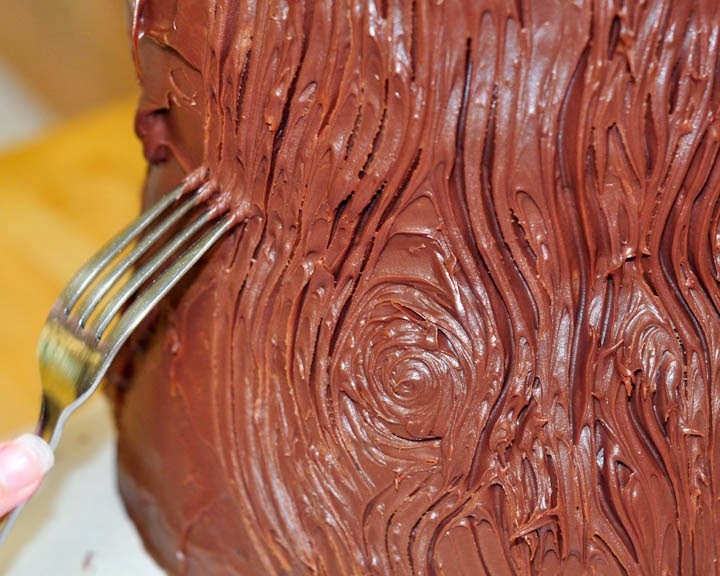 Use a fork to create the bark-like texture, being careful to go around your knot holes, and add some waves. The lines shouldn't be straight. I found this awesome tree slab platter at World Market for the stand for the cake. i have just one word to say : AWESOMEEEEEEEE !!!!!! Did this cake need to be refrigerated? Yes. Ganache needs to be refrigerated. Beki , wow .... this is just great !! Thank you for the details !! Can I make n store the ganache in the fridge 2-3 days in advance? You can make ganache ahead of time. However, getting it back to a spreadable consistency can be challenging. 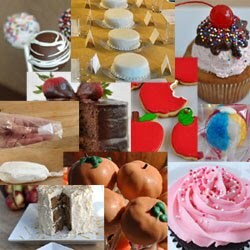 The ganache doesn't take long to make, so I usually find making it as I need it is the best way to go.